Hi everyone, hope you all are enjoying your weekend. Today I have quick post for you on a product that is a MUST have at Sephora! I bought this specific item in 2010 and it is still kicking!!! Now that’s bang for your buck! Too Faced ‘Shadow Insurance’ – is a creamy eye primer but blends out to be translucent on the eye lid. Of all the eye primers on the market today, I have to say this is by far my favourite one! It has never creased on me EVER (it has held it’s own for up to 24 hours! ), however one must keep in mind that I don’t have oily eyelids. That being said, the Urban Decay Primer Potion has the same function but that does crease on me by the end of the day. This product is very easy to use, a little of it goes a long way (hence why it’s lasted sooo long!) and I adore the easy squeezy tube it comes it! A bit better design that the Urban Decay Primer Potions (even the new packaged ones) if you ask me. As well, it’s easy to blend on the eye lid, so if you are sensitive to tugging & pulling on the eye lid, this would be a great product to try! I have always suggested this for those who are looking for a new eye primer to try out – but if you have oily eye lids I HIGHLY recommend getting a sample before purchasing it! 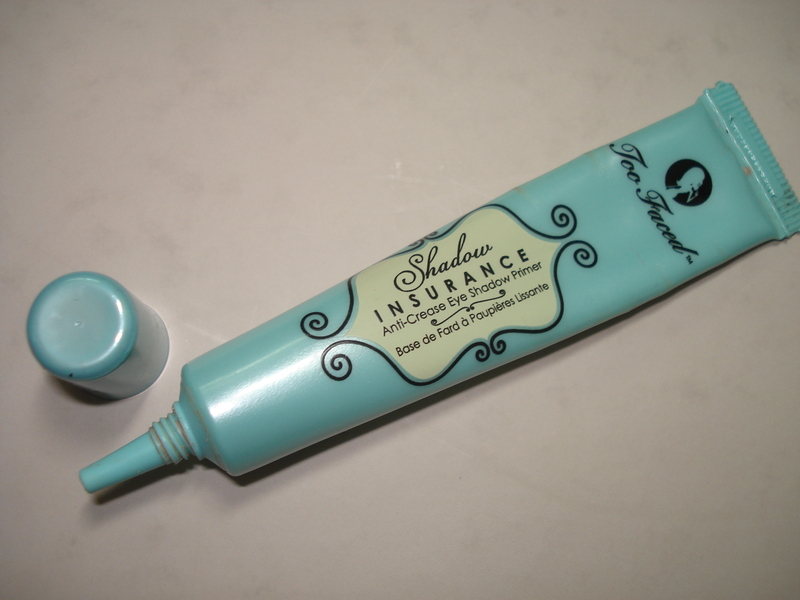 Do you own Too Faced ‘Shadow Insurance’ ? i dont have it at the moment but this is magic! I have the UDPP and I am unsure if I should try a new primer or stick with UD. I feel like UDPP works better than wearing nothing but towards the end of the day my shadows are fading.